You may be surprised to know that we produce clear glass objects too. Easy! 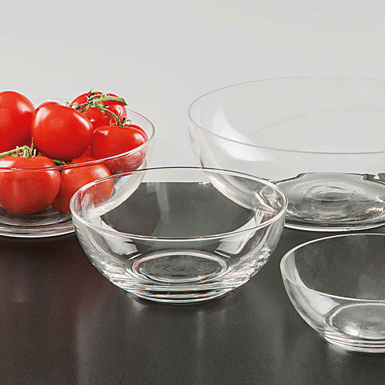 The mouth-blown Ascona bowls are simple shaped and crystal clear: perfect in every way! mouth-blown into the mould. Flamed smooth rim.